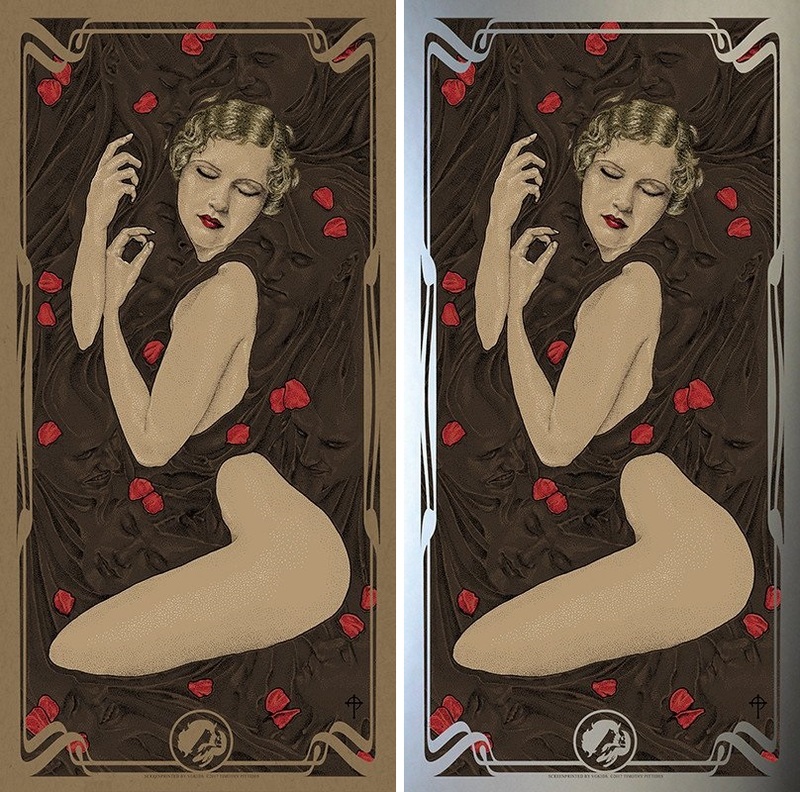 Later today, Bottleneck Gallery will be releasing this sinfully sweet poster “Chocolate” by Timothy Pittides as part of the artist’s awesome Vices Screen Print Series! Timothy’s Vices Series has contained an incredibly illustrated range of vices – from drugs to drinks – but chocolate is one that many people share. Whether dark or milk, Timothy exposes the seductive devil hiding in each bite. “Chocolate” by Timothy Pittides is a 12”x24” hand numbered screen print. The Regular Edition is limited to 75 pieces and will retail for just $35, while the Silver Foil Wrapper Variant is limited to 35 pieces and will retail for $50. Both versions will go on sale at 12pm EST today, Tuesday, June 27th, at the Bottleneck Gallery online store.